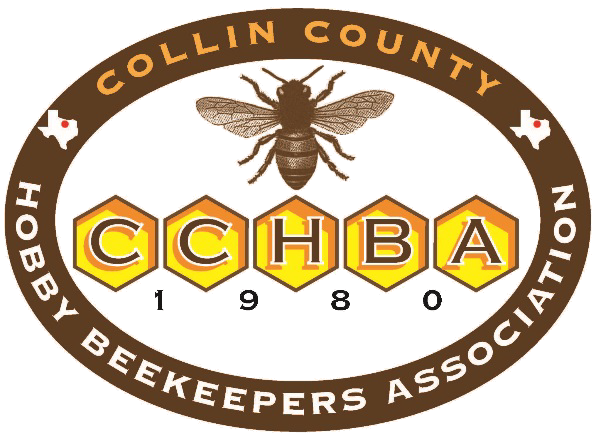 This is the official website for Collin County Hobby Beekeepers Association (CCHBA). We are comprised of men, women and youth interested in the art and science of beekeeping. Our membership ranges across many professions. We have members with several hundred to one to NO bee hives. We foster an environment in which you can increase your knowledge and teach others. Through the programs (monthly speakers, youth scholarship, Honey Queen, board leadership) you are sure to find a perfect fit for you. CCHBA is organized as an IRS recognized 501(c)(3) educational organization and all donations to CCHBA are considered charitable contributions and may be tax-deductible, depending on your particular tax situation..
We would like to extend an invitation to the 2nd Monday monthly meetings at 6:30pm at the Collin College Conference Center (Central Park Campus), 2400 Community Ave. in McKinney.